A St. Petersburg vacation is perfect for families. Discover why for the past three years AmericanStyle Magazine has named St. Petersburg, Florida the #1 Mid-Size City for Art. Visit the incredible museums and performing arts venues. Travel downtown to explore public art installations, galleries and restaurants that offer everything from rich cultural experiences to delicious cuisine. Visit the Sunken Gardens, which is a four-acre botanical attraction, dance in a festival, admire the Mediterranean-style architecture and more during your St. Petersburg vacation. 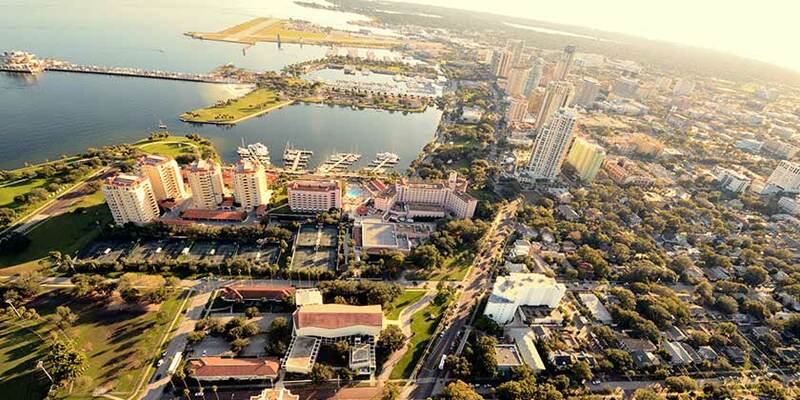 In Tampa Bay, you'll find golf, relaxing spas, entertainment, fine dining, great shopping and more. Discover a vast collection of native Tampa Bay animals at the Lowry Park Zoo. Gather the family and head to fun-filled theme parks like Busch Gardens®. During a Tampa Bay vacation, unforgettable memories are a sure thing. 5 (1) Toggle including or excluding 5 nights packages, 1 deals match this criteria. Resort info: Spanning 12 acres on St. Pete Beach, Sirata Beach Resort appeals to families, active travelers and couples looking for a romantic vacation or to tie the knot. Resort info: Tropical and traditional, TradeWinds Island Grand provides polished accommodations, upscale amenities and friendly service ideal for everyone. Resort info: Nestled amidst a setting of tropical solitude on the Gulf of Mexico, this intimate beachfront retreat has something for every member of the family. Resort info: Overlooking the Gulf of Mexico, this traditional all-suite hotel offers family-friendly accommodations with a kitchen and Florida-inspired decor. Resort info: Welcome to Barefoot Beach Resort, luxury Condominium Property in Indian Shores Beach, Florida, just minutes from Clearwater Beach. Resort info: Located beachfront on the West Coast near Clearwater Beach, St. Pete Beach and Tampa, offering all that you are looking for in a Florida vacation.